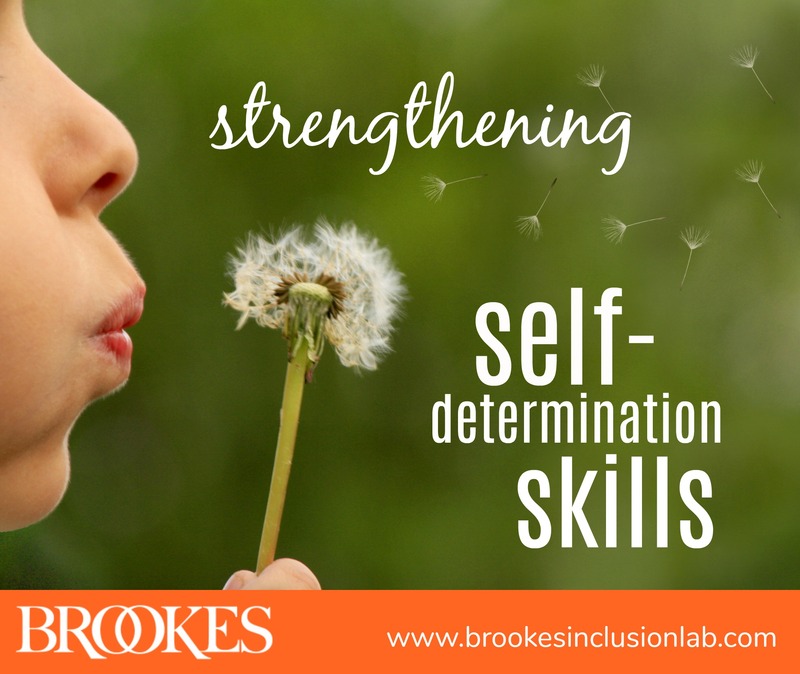 Self-determination skills are essential for all students, but they’re of special importance to students with disabilities. As they approach adulthood and the all-important transition from high school, students will use these critical skills to identify their preferences and goals, advocate for the future they imagine for themselves, and work toward their desired outcomes. Just as students need frequent practice with math or literacy skills, they also need daily practice to develop the skills that provide a foundation for self-determination. 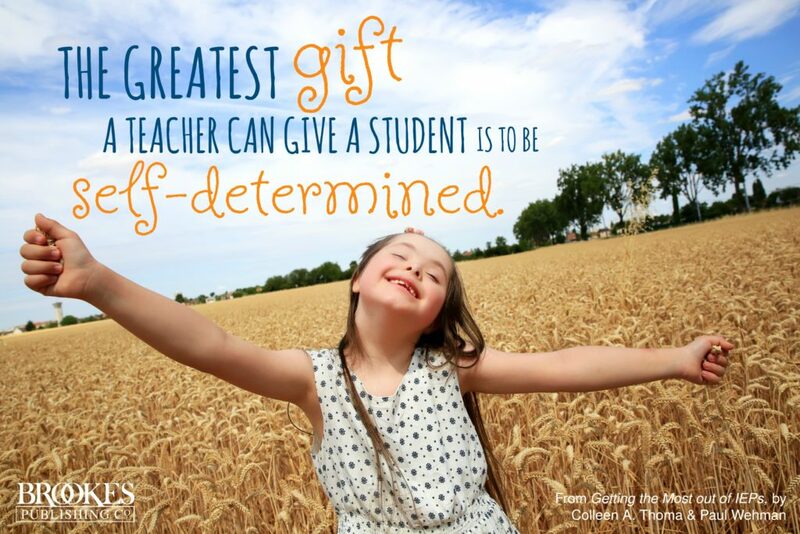 Today’s post, excerpted and adapted from Getting the Most out of IEPs by Colleen A. Thoma & Paul Wehman, offers 12 tips to help students across the age range increase self-determination. Use these practical ideas to give your students plenty of opportunities to learn key skills like decision-making, goal-setting, and more. Offer students choices. Look for opportunities throughout the day to empower your students to make their own choices. Let them choose between different writing implements, different locations to complete their independent work, snack options, and recess activities. Have students decide how to organize their daily schedules and how long to engage in a school or play task. Start by offering two options and gradually increase the number of choices you present. Honor your students’ choices even when you think the student may prefer a different option. When a student makes a nonpreferred choice by mistake, allow them to problem-solve and make a new choice. Assign small projects that spark imagination and ingenuity. Ask students to construct objects from common home and school supplies—for example, they can create a car out of toilet paper rolls, construction paper, and pencils. Model decision-making. Talk through your own decisions to help students understand the process. Develop a picture sequence to demonstrate how to make a decision, and practice this sequence many times a day. You might also show students how to make a pros and cons list to decide between two options (for example, playing outside versus inside during recess). Follow up after students make decisions. Have your students talk about their decisions and how their plan worked out—or didn’t work out—for them. When students make a poor decision, help them identify why it was the wrong decision and what they could do differently next time. Set up problems for students to solve. Try hiding or locking away items that students need to complete projects, and then guide and support them as they problem-solve how to access the items. And ask your students for help with solving your own problems in the classroom—they may come up with a solution you hadn’t thought of! Model goal-setting. Set simple daily and weekly goals with your students and the class as a whole. Then work with them to develop a plan to meet those goals, and periodically check in to review progress toward the goals. Encourage (reasonable) risk-taking. Attempting something new can often feel scary to students. Allow your students to try new things in the classroom and praise them when they take that risk. Teach students how to take reasonable risks without making choices that put their safety in jeopardy. Offer leadership opportunities. Give students tasks that allow them to practice leadership and responsibility. For example, you might assign them to keep track of all the playground items or complete the lunch count and take it down to the office. Be sure to provide many opportunities for students to complete meaningful tasks for their school and community. Highlight strengths. When students succeed at a task, point out the skills and strengths they have and the specific actions they took that led to their success. This will give them the courage and confidence to try other things in the future. Get students more involved in their IEPs. 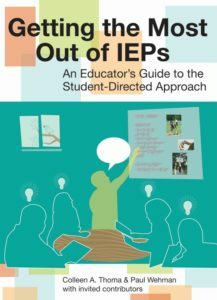 Ideally, your school should implement a student-directed IEP process (see this popular post for 9 first steps to take). You can begin by showing each student their individualized education program (IEP) and explaining it. Before the next IEP meeting, ask students to identify three to five personal strengths to share at the meeting. If they’re nervous about public speaking, role-play a practice meeting or have them pre-record the thoughts they want to share. Everything you teach your students is important—but as Thoma and Wehman point out, “the greatest gift a teacher can give a student is to be self-determined.” When students are empowered to make their own decisions, identify their dreams and goals, work through problems, and advocate for themselves, they can take confident steps toward the future they want. Packed with practical advice, helpful examples, and IEP resources for students themselves, this guidebook offers great ideas for developing meaningful student-led IEPs while adhering to legal requirements and evidence-based practices.